It’s almost impossible to not get excited when you’re uncovering a new Yarra Valley winery. After all, this is undeniably one of Australia’s finest wine regions, and home to many of our all-time favourite producers. Blackwood Hill is no exception - the small-scale, homely and down-to-earth way the vintners of this winery go about their business means their wines pack in everything we love about this part of the country. There’s been plenty of noise made about ‘natural’ wineries in Australia over the past couple of years, and it would be easy to discredit much of it as bandwagon-hopping. However, when you’re working with land as wonderfully rich and fascinating as that which surrounds Blackwood Hill in the heart of the beautiful Steels Creek Valley, it all starts making perfect sense. Made in small batches with indigenous yeasts, and with no fining, filtering, chemical nasties or other interventions, the Calder family of Blackwood Hill are on a mission to bottle the very essence of their land. The health and care of the vineyard are intimately interconnected with the management of the rest of the property. Sheep and cattle are fed the used grape skins from wine ferments, the lees are used as compost....everything is used in a cycle and nothing is wasted. Organic viticulture is not taken for granted here - it is recognised as the only sustainable way forward for the production of quality wine.The cool climate of the Yarra Valley ensures the wines are fresh, fragrant and purely fruited. The hands-off approach taken by the Calders further enhances this style and results in wines of great vibrancy. 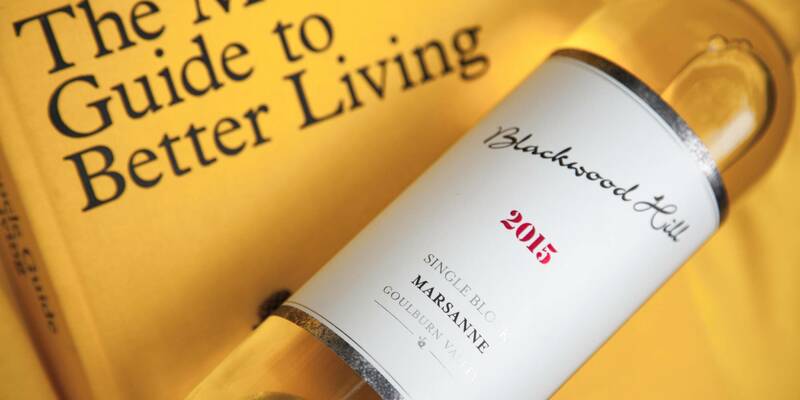 A really intriguing wine this - Marsanne isn't seen too commonly in Australia, and is often blended with other white varieties. Here, presented on its own, we have a medium-bodied wine that is both textural and fresh. There's some lovely apple and quince characters on the nose, mixed hints of honey and cinnamon. The palate has some richness but plenty of acidity - a real balancing act. Creamy and a little waxy, but vibrant enough to be drunk all year round. Blackwood Hill manage their vineyards organically, and refuse to filter any of their wines, so you may find some small tartrate crystals in the bottom of the bottle after the wine has been in the fridge. Don't worry, they are totally harmless. You can remove them by gently decanting the wine if you wish. A really intriguing wine this - Marsanne isn't seen too commonly in Australia, and is often blended with other white varieties. 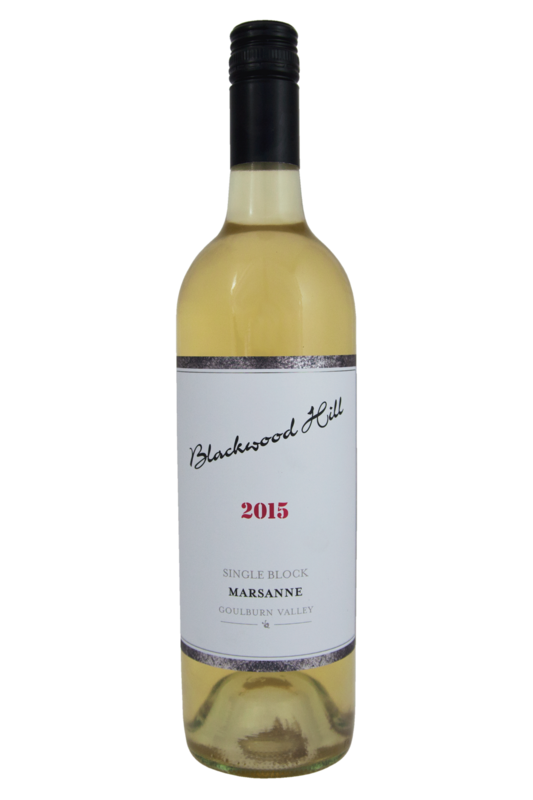 Deep, rich and beautifully textured, the unfiltered Marsanne from Blackwood Hill is the kind of white wine you can’t help but want to pair with some fantastically flavourful food. This particular bottle would match up gorgeously with rich, decadent seafood dishes of lobster, crab, prawn, mussels and clams - anything which packs in those succulent fruits of the sea would work brilliantly well. It’s also a winner with sea bass and similar white fish, but you can afford to be pretty bold with flavours, here. Try it also with chicken, pork or veal with cream sauces, or even creamy Indian curries like a makhani.